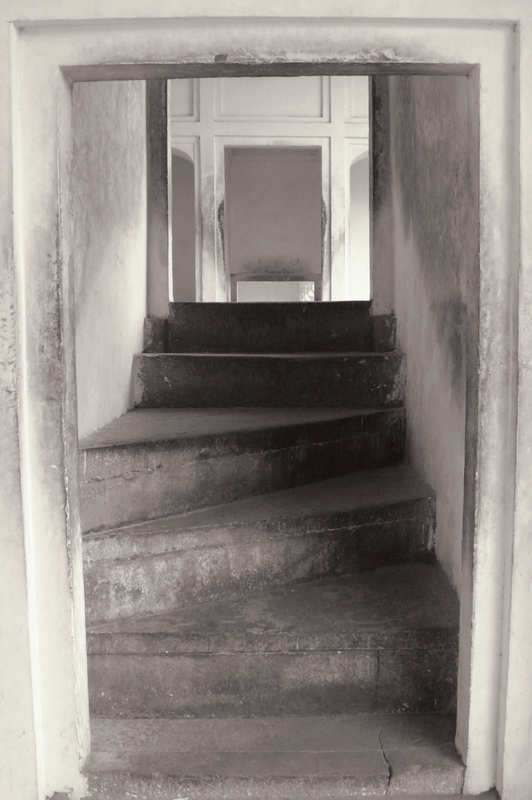 Anthea Baxter-Page, Temple, Varanasi, 2012. Archival digital print, 30 x 24". 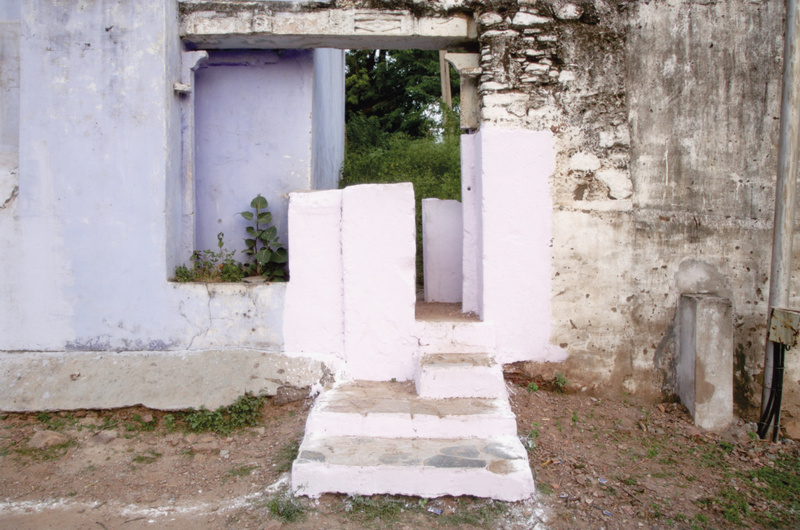 Anthea Baxter-Page, Puja Gateway, Bundi, 2018. Archival digital print, 24 x 36". 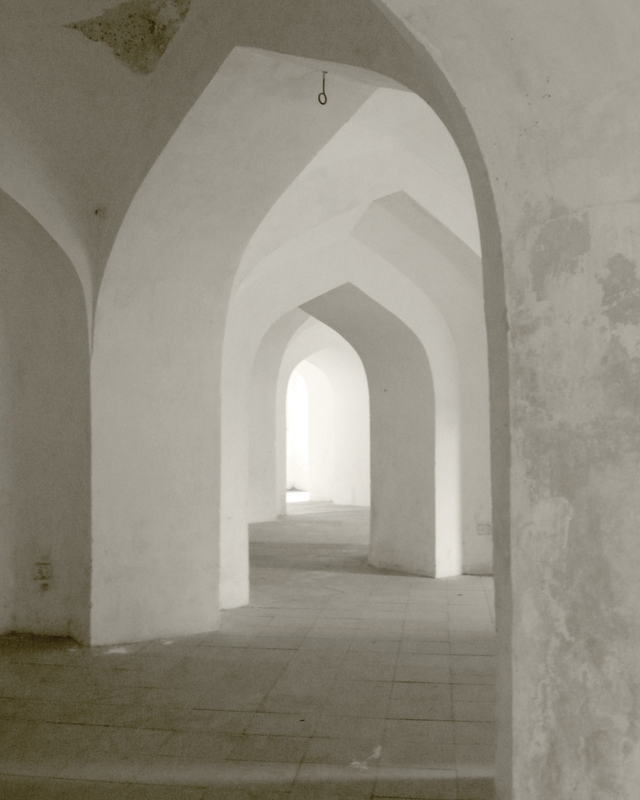 Anthea Baxter-Page, Archways, Jaipur, 2012. Archival digital print, 30 x 24”. In her exhibition Passages, Anthea Baxter-Page captures the spirit and history of India by documenting impact on its architecture. With over one billion citizens, 22 major languages, 29 states, nine major religions, and 11 million tourists and pilgrims annually, every fort, palace, archway, and corridor is steeped in thousands of years of human experience. Granite, marble, and earth appear polished from the constant flow of hands and feet as people pass through these spaces in acts of ceremony and worship, labour and recreation, conflict and triumph. Similarly, imperfect surfaces reveal layers of stories of times past: crumbling walls once adorned by mirrors and jewels reveal a fading majesty; painted shop walls bear the mark of trade and labour. Some images in this exhibition are intentionally disorienting, reflecting the artist’s uncertainty as she navigated unknown terrain, behind a camera lens, through the dizzying crowds. Referring literally to the physical thresholds and pathways that have been travelled many times over, the title Passages also acknowledges the undefined space between a past and a future, a beginning and an end.